The idea of space marines, fighters who are able to deploy from space onto the earth in mere hours, has been around since 1939, when Robert Heinlein coined the term. But now, the idea is moving slowly forward. From a military standpoint, one of the primary attractions of the idea is that it removes diplomatic arguments regarding air space from rapid troop deployment considerations. According to an article in Wired, the Small Unit Space Transport and Insertion (SUSTAIN) idea is the subject of a National Security Space Office conference. 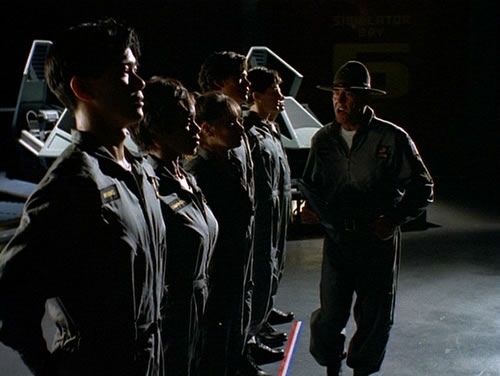 The idea of a space-based force was the subject of Space: Above and Beyond, a FOX network sci-fi program that ran for a single season in 1995 (see the Space: Above and Beyond trailer video). Set in 2063, it told the story of the United States Marine Corps Space Aviator Cavalry. The phrase "space marines" was coined by Robert Heinlein almost seventy years ago in Misfit. "Attention to muster!" The parade ground voice of a First Sergeant of Space Marines cut through the fog and drizzle of a nasty New Jersey morning. 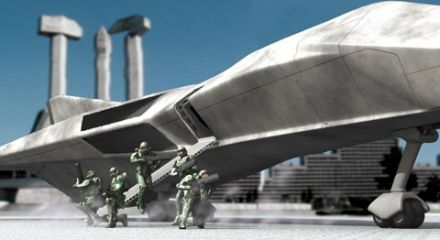 Although the first flights of space marines lie far in the future (fifteen years is the estimate), military programs often take a long time to mature. The F-22 Raptor required 22 years of development, and it just recently entered service. From Wired and Popular Science; thanks to Moira for pointing this one out.